It's been a long time since last Dev log. We were busying adding content and polishing Last Wood. Since the game is about to launch in months. 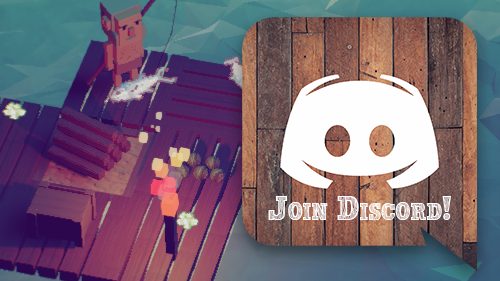 We think it's time to public our official Discord channel. If you haven't heard of Discord. It's a instant message tool we use to communication with players and it don't require to register. In the Discord channel, you could give suggestions and ideas directly or chat anything about the game. We'll regularly upload art works, preview contents of the game and give out alpha test keys. As for the game. We have finished most stuff we planned. Sailing, more craft & build, character developments, island, dying, more creatures, UI improvement, trade, mod, localization, and etc. Also, some sore spots like options for volume, full screen and ridiculous amount of bugs are fixed. Currently, we are polishing on combat and world exploration. Also add some quest and guide for beginners. Last Wood Alpha-Test is open for application! Check Out Our Steam Page! Version 4: "Hunt & Harvest"
Version 3! Structures!On the run! Hi, I have a concern to you. Stick with one platform or two, and be active there. Suggestion: itch.io and steam. The problem of making forum and other communities is future, you'll be able to maintain it for at least 20 years? And what will happen if only 1 visit happens by month? Hear it and avoid a lot of sadness. So many platforms available for indie developers currently, it's a good news.